Happy Thursday everyone! 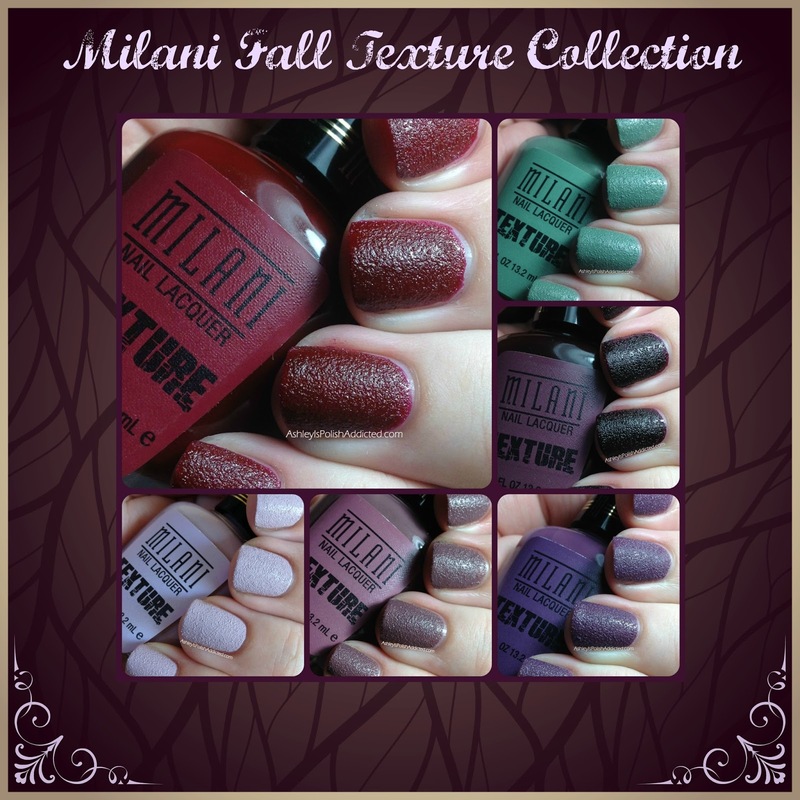 Today I have a brand new, limited edition collection for Fall 2013 - the Milani Fall Textured Creams Collection. 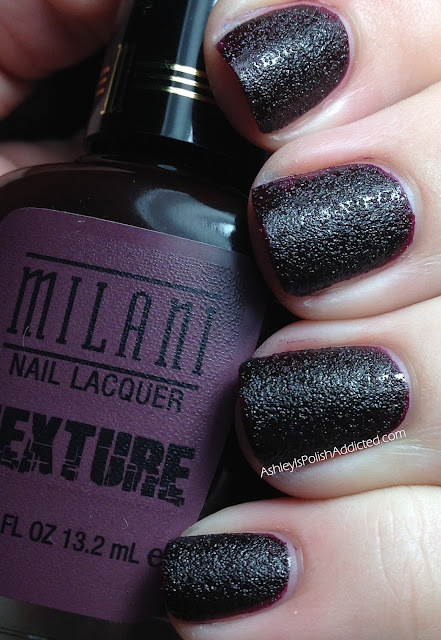 This collection is made up of 6 textured polishes in colors that are just perfect for fall. All had the same great formula. I used 2 coats of each for full opacity (though many were nearly one-coaters), making sure the first coat was dry before adding the second. Lovely Lavender is a very light lavender. This is the lightest and least "fall-ish" of the bunch but very delicate and pretty. 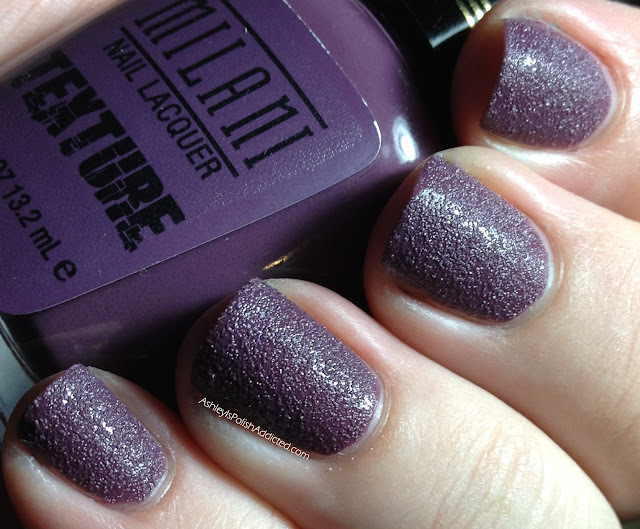 This is one of my favorites from the collection but I would not call it mauve, I'd call it a light raisin. It shifts from brown to purple depending on the lighting. Gorgeous. This one is more red-toned than it appears in my photos. 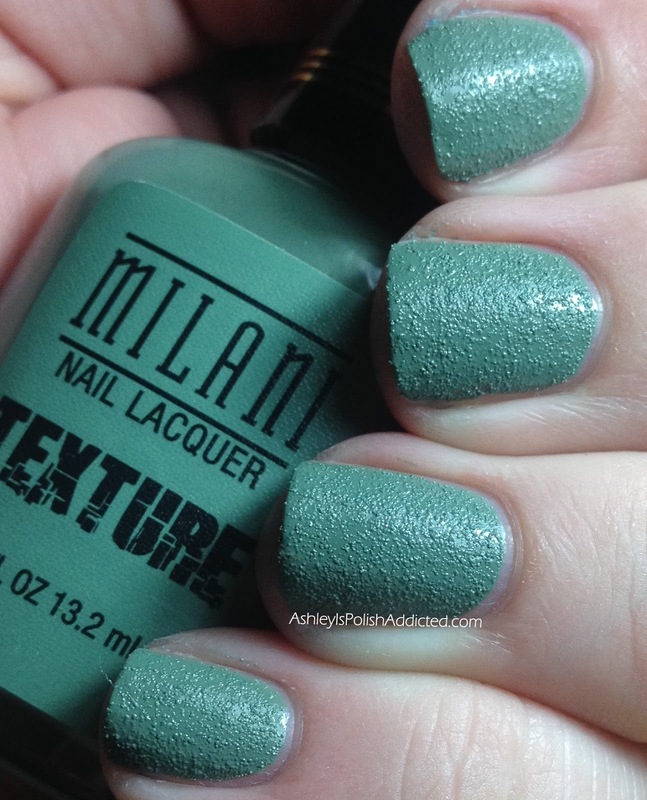 This is a very rich color. Here's a quick comparison pic of the three above so you can see the difference in Mystery Mauve and Velvety Violet. I think they'd make a great gradient! The make a pretty great ombre mani here. This is the last "purple" of the collection. The first coat of this one did look very purple but was patchy and the second coat made it nearly black. It is very vampy and I can see it being a very popular shade! 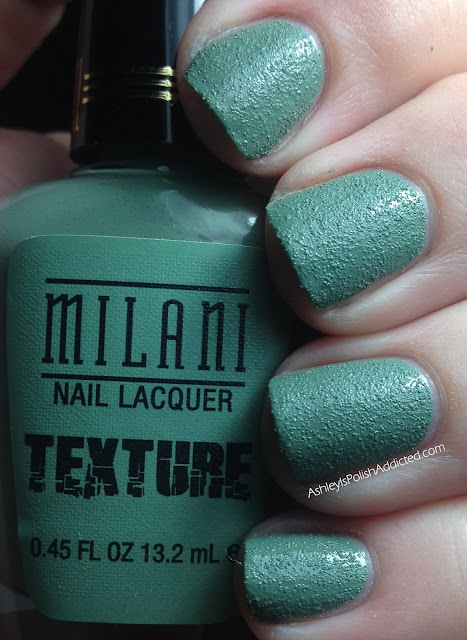 This is a cool-toned ocean green that will be flattering on many different skin tones. This one is my top pick from the collection! I saved the best (in my opinion) for last! 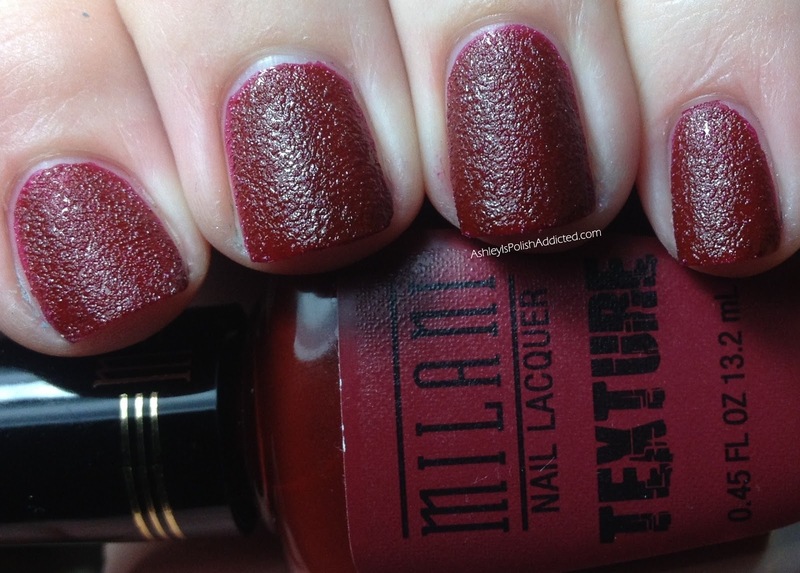 Deep blood red perfection. So what do you think of this collection? 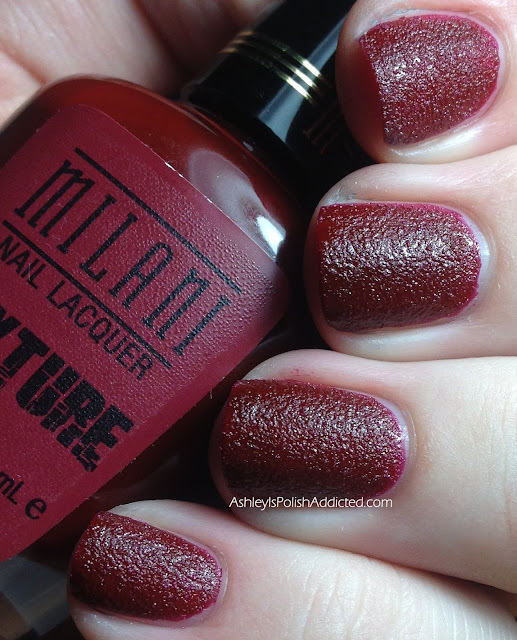 I'm still not a huge fan of textured polishes but I think Milani did a wonderful job with this collection and the colors are fabulous. This is a limited edition collection! It should be available at CVS and Fred Meyer stores throughout the month of October. 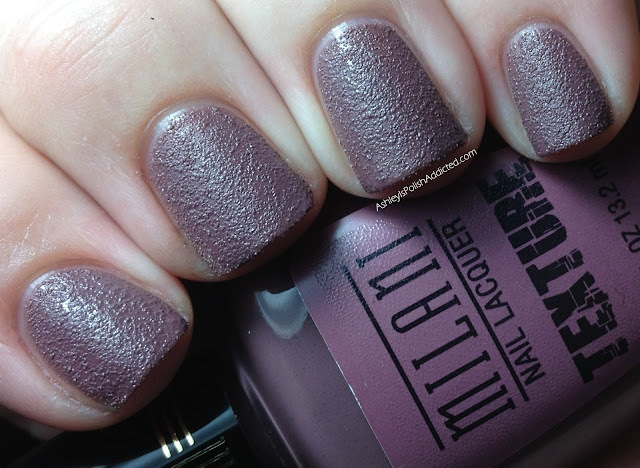 You can also find it on Milani's website. 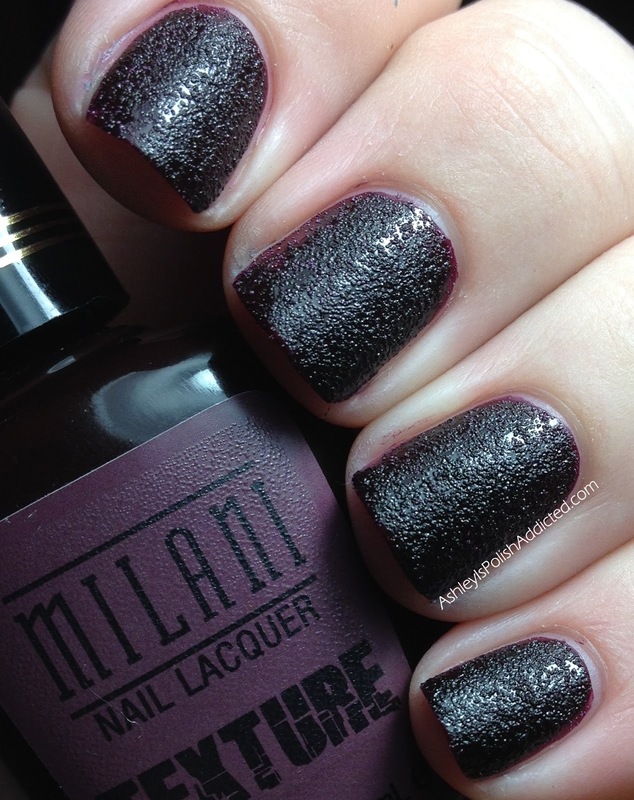 Be sure to "like" Milani on Facebook to stay up-to-date! So pretty! 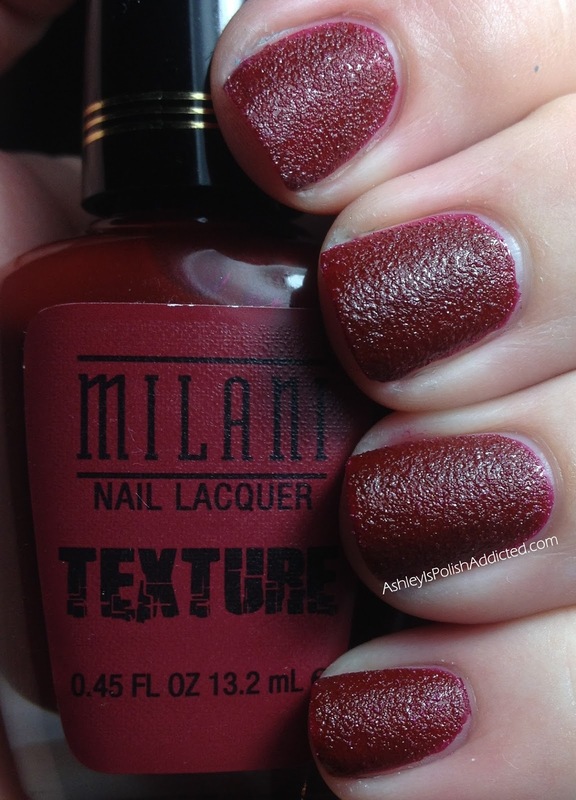 I love Bordeaux & Carmine! 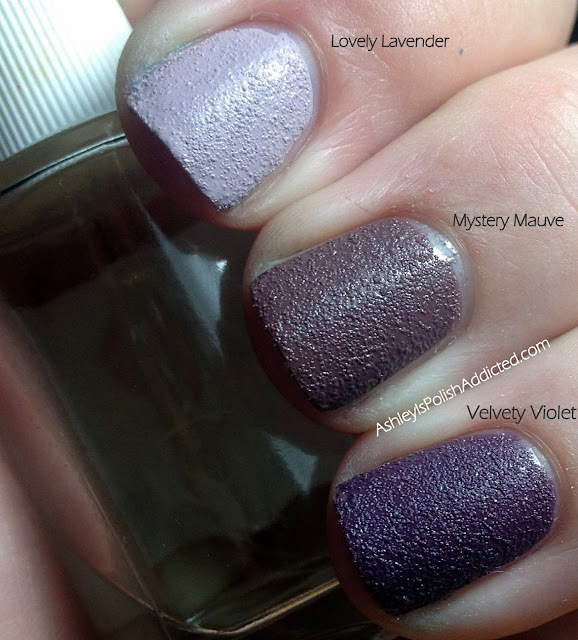 Mystery Mauve and Beautiful Bordeaux are my favorites!